Very important: The first item below has two references to the comedy classic "This is Spinal Tap." The first one is obvious, the second one is a little buried. U.S. crude oil production reached a new milestone — averaging an estimated 11 million bpd last week for the first time ever — and the surge will keep going as America has again become a crude powerhouse. Why it matters: The number, which is from preliminary data from the Energy Information Administration, is a symbolic threshold that underscores the scale of the U.S. oil boom from shale resources. Shale has basically fueled a doubling of the country's output over the last decade to allow the U.S. to join Saudi Arabia and Russia as the world's biggest producers. Yes, but: The eye-popping U.S. production data in recent months and years arrives amid reminders that for all the White House bravado about achieving energy "dominance," the U.S. remains tethered to OPEC and Russia — and global markets generally — in fundamental ways. Consider that this summer, President Trump joined the list of U.S. presidents who have pled with the Saudis to boost production to help with U.S. needs (a topic we explored here). Between the lines: Right now, despite the U.S. surge, Trump needs more barrels on the market from the Saudis and others to meet his foreign policy and domestic political priorities. He's trying to drive down Iranian exports with new sanctions, but wants greater output elsewhere to prevent gasoline price spikes that could hurt Republicans politically. The big picture: EIA expects the U.S. to average 12 million bpd of crude production in 2019, becoming the world's largest producer. The International Energy Agency sees oil output from shale formations, which now represent about two-thirds of U.S output, plateauing at well over 11 million barrels in the mid-2020s. The bottom line: The U.S. surge isn't going away, but it's hardly a panacea. To be sure: Those weekly EIA estimates are rounded to the nearest 100,000 barrels and very preliminary. But they're also directionally right, even if more precise data will arrive later. One level deeper: Reuters unpacks the 11 million figure here, noting that if confirmed by subsequent data, it would put the U.S. just behind Russia as the largest producer right now. A practical question at this point: "This report comes amidst worries that infrastructure bottlenecks, which make it difficult for producers to get their oil to market, could soon start curtailing output," per Reuters. My colleague Amy Harder has some details on the upcoming rollout of a GOP lawmaker's carbon tax bill, including the first wave of organizations set to publicly support it. Driving the news: Republican Rep. Carlos Curbelo of Florida is set to introduce the bill Monday at the National Press Club in Washington, D.C. He'll be joined by representatives from the Niskanen Center, a libertarian think tank supporting a carbon tax, along with likely at least three environmental groups: The Nature Conservancy, Environmental Defense Fund and World Resources Institute, people familiar with the plan say. Curbelo is likely to have at least one, maybe a few more, Republican co-sponsors, but it wasn’t immediately clear which members it would be. Happening today: Before Curbelo's bill even arrives, the House is expected to pass a GOP leadership-backed, nonbinding resolution attacking the very concept of carbon taxes. As I noted yesterday, Curbelo co-chairs the bipartisan Climate Solutions Caucus, which has 80 members split evenly between the parties. We'll be watching how many of the group's Republican members vote for today's resolution. Be smart: None of this has any near-term policy effect at a time when taxing emissions lacks any meaningful political traction in Washington. These are symbolic measures. But they're also important early skirmishes in what could become a much more consequential battle if Democrats eventually regain control of Washington and seek GOP support to act on taxes, or if Republicans seek to advance their own proposals. 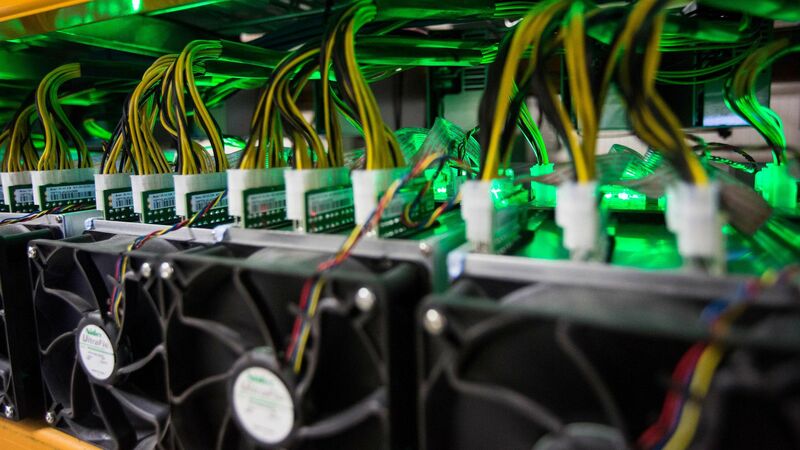 Alexander Kizer of Energy Futures Initiative writes in Axios' Expert Voices ... Blockchain has begun to show promise for a wide range of energy applications, from energy trading platforms to carbon production registries to transaction frameworks in emerging markets. Distributed energy resources — including rooftop solar, energy storage and demand response — as well as microgrid systems and back-end business operating environments present other areas of opportunity. Why it matters: These applications have sparked a boost in investment, estimated at $100 million to $300 million since 2014 by the Energy Futures Futures Initiative and as much as $324 million in the last year alone, according to Greentech Media. As these industry changes accelerate, blockchain will help make energy systems more efficient and profitable. How it works: Blockchain lets firms create a transaction architecture that slashes overhead costs, while at the same time provides more security. Some exponents overpromise that there’s a blockchain solution for every problem, but many blockchain innovations are already up and running. Go deeper: Read the Expert Voices piece about how the tech is already being deployed, and check out the Energy Futures Initiative's new report on blockchain. While some of the world's most powerful oil companies support taxing emissions and carbon pricing more broadly, they're not willing to wade into the fight over the GOP resolution. At least not publicly. What they're saying: Amy touched base with ExxonMobil, BP and Shell. None of the companies said they oppose the resolution, which flatly says carbon taxes are bad for the country. BP declined comment on the measure while noting its general backing for carbon pricing. A spokesman for Shell also declined comment on the resolution, but did note that the company has been "consistent and vocal in support of a robust carbon price." Exxon would not comment directly on the resolution either, but spokesperson Scott Silvestri said, "We support carbon polices that would ensure a uniform and predictable cost of carbon across the economy." The intrigue: All three are among the founding corporate members of a group called the Climate Leadership Council that's promoting a plan that would impose a tax beginning at $40-per-ton while scuttling EPA carbon regulations. Go deeper: Climatewire, an E&E News publication, ran a story yesterday on big oil companies refusing to weigh in on the resolution, which is sponsored by Majority Whip Steve Scalise. Josiah Neeley of the free-market R Street Institute told E&E that Big Oil likely sees little reason to wade into a fight over a symbolic measure. Quick take: That's probably true. But it could be another example of a years-old dynamic: Companies voice support for the concept of carbon pricing, but won't throw their weight around to change the politics on Capitol Hill. Still, Shell spokesperson Curtis Smith tells Amy: "We sit on several carbon price advocacy groups and are working within those groups to engage with Congress on recent proposals." Trade: Secretary of Commerce Wilbur Ross has opened an investigation into whether U.S. dependence on uranium imports poses a threat to national security. Coal and nuclear: The consultancy The Brattle Group wrote a new report that tries to game out the costs of brewing Trump administration plans to prop up economically struggling coal-fired and nuclear power plants. Under various assumptions about the still-totally-vague policy, they estimate costs could be around $10 billion per year or much, much higher. The report was commissioned by pro-renewables and natural gas industry groups opposing the aid, including Advanced Energy Economy, the American Petroleum Institute and the American Wind Energy Association. Climate change: Via the Associated Press, "The Trump administration has gone to the U.S. Supreme Court in its effort to stop a lawsuit filed by young activists who say the government is failing to protect them from climate change." Go deeper: The website Climate Liability News has an in-depth piece here. Interior: Via Politico, "The Interior Department’s internal watchdog has launched a full investigation into a real estate deal involving a foundation established by Ryan Zinke and developers including Halliburton Chairman David Lesar." The inspector general report will review whether Zinke violated conflict of interest laws, they report. Getting ready: Bloomberg and S&P Global Platts report that OPEC's legal team is meeting in Vienna today to discuss strategy to counter Capitol Hill legislation that seeks to enable litigation against the cartel with U.S. anti-trust laws. Why it matters: The "NOPEC" bill has been rattling around Congress for about two decades, but the current efforts — which have yet to receive votes — could have more traction, the stories note. Threat level: Bloomberg points out that former presidents George W. Bush and Barack Obama both signaled they would veto the measure if it reached their desk. But Trump? Not so clear. An OPEC source tells Platts that he's a "wildcard." "OPEC is concerned that this year's version may face better-than-even odds of passing with Trump, a frequent OPEC critic and past supporter of previous NOPEC bills," their story notes.